February 24 is National Tortilla Chip Day. 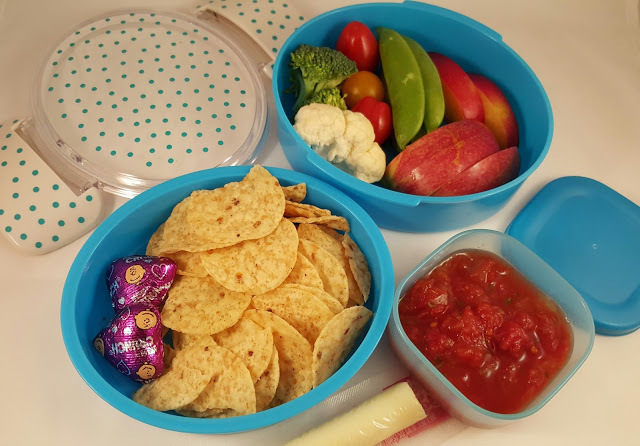 Since my kids love tortilla chips and my daughter sometimes requests chips and salsa for lunch, I decided this would be perfect for Wednesday lunches this week. 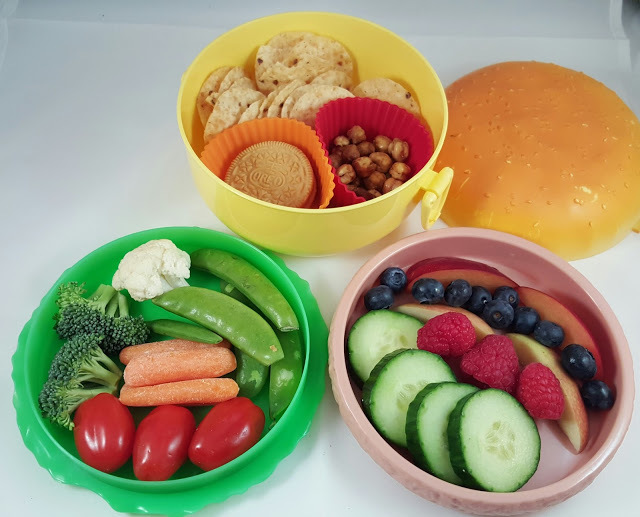 In our blue two tiered bento box, my daughter has tortilla chips with a couple of Nestle chocolates, broccoli, cauliflower, tomatoes, sugar snap peas, apple slices, and plum slices. On the side, she has a string cheese, and a small container of salsa. Over the last year, she has developed a taste for some spicy food items and salsa is one of the things she likes “hot”. In this picture, you can see the tiered box all assembled. 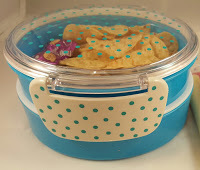 This box is great for a lunch like this because I can keep the chips sealed in one section of the box so they stay very crispy while the foods with moisture, like the apple and plum slices, are separate in another section. 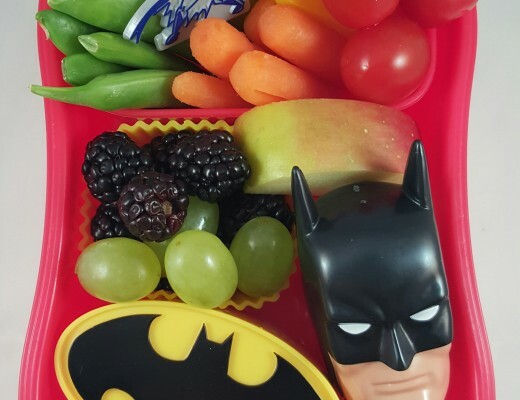 The next lunch is for my son. 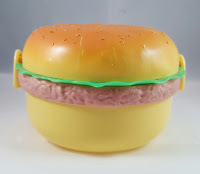 It is packed in our three tiered round hamburger box. My son has tortilla chips, roasted chick peas, and a birthday cake Oreo in the bottom “bun” tier of the box. 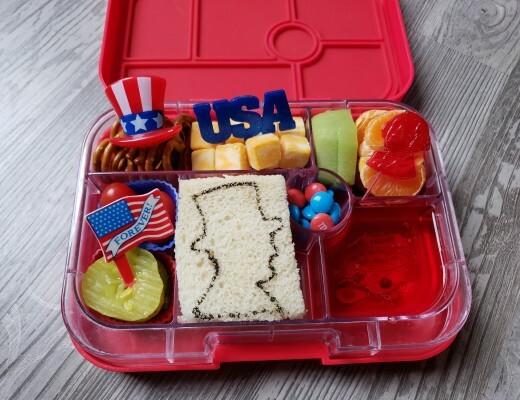 In the “lettuce” layer, he has veggies, and the “burger” layer contains four types of fruit alongside slices of cucumber. This box is a little tricky to pack because the tiers that reassemble the lettuce and burger layers of the hamburger are quite thin, requiring that the food placed in them be arranged in a thin layer so that the box will stack properly allowing the clips on the sides to attach. My son LOVES this box and gets excited every time I use it. The struggle of getting everything to fit feels worth it when I see his happiness over getting to take this box to daycare for lunch. 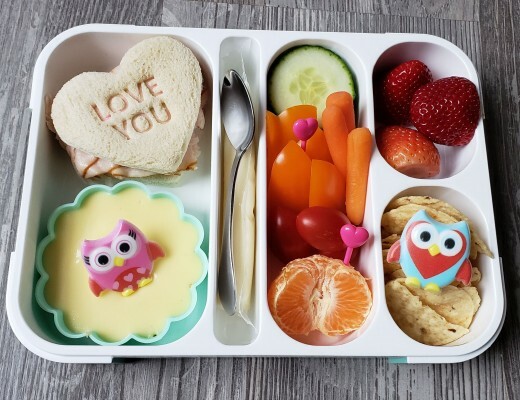 And, as far as cute, novelty style bento boxes go, this one is inexpensive. It is usually available for around $5.00 on Amazon.